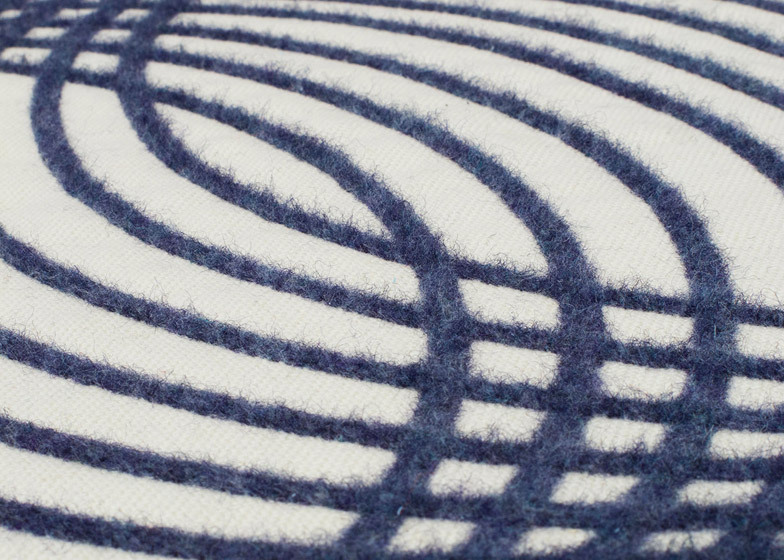 Graduate shows 2015: Royal College of Art graduate Adam Blencowe has created a series of samples to demonstrate a new technique that brings "unprecedented precision" to the felting of woven textiles (+ slideshow). 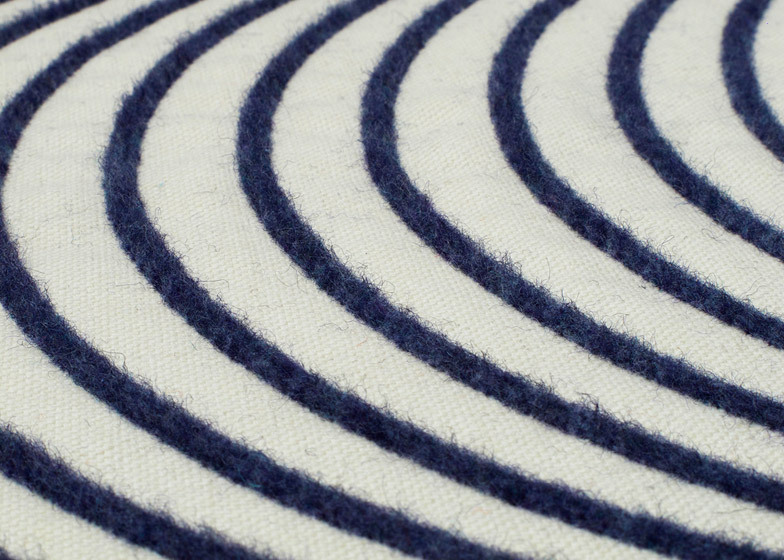 Felt, one of the oldest types of textile, is produced by matting and pressing fibres together. This can be done through wet felting or a dry process known as needle felting, which Blencowe focused on for his Fuzzy Logic project. Needle felting uses notched barbs that punch into woven textiles to pick up fibres, then pushes them into the neighbouring material. The fibres tangle together and form a bond that marries two pieces of cloth together, making it possible to add colour and texture. 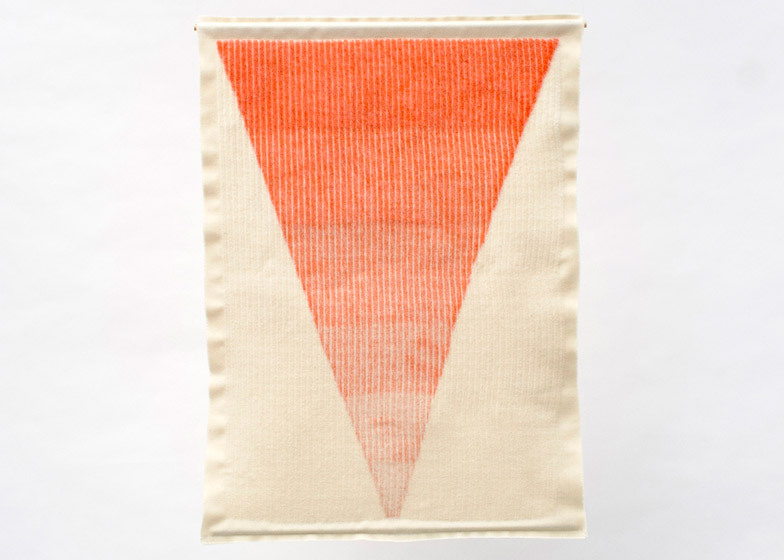 "The marks created in the process become patterns and pockets that enrich and decorate the surface of the fabric, but also present the opportunity to make the material three-dimensional," said Blencowe. To digitise this process, the designer hacked a standard jigsaw by building a needle holder that attaches to the blade, and adding a 3D-printed presser foot. 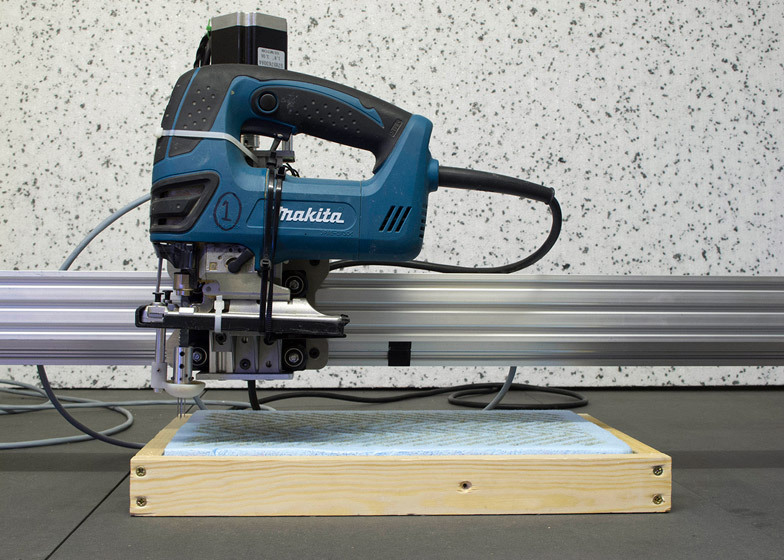 He then mounted the modified tool onto a computer numerically controlled (CNC) machine. 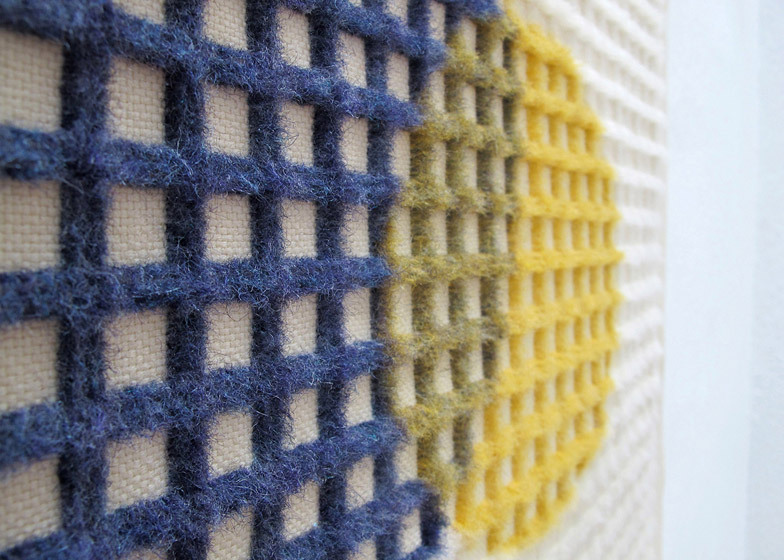 The combination of technologies enabled him to bond, mend and reinforce textiles by matting the fibres from one cloth into the other with a precision he claims has not been possible in felting before. The project started with an open brief from Scottish company Bute Fabrics to investigate ways to enhance their textiles. The high content of wool in their products led Blencowe to explore felting techniques. "Using needle punching as a starting point, a process used to mesh fibres together can be applied to woven textiles, I found there was a gap in the application of the technique," he told Dezeen. "It existed either as a labour-intensive hand-produced craft or within a mass manufacturing space to produce non-woven textiles for industry." With digitised needle punching, Blencowe is able to customise fabrics within short production runs. 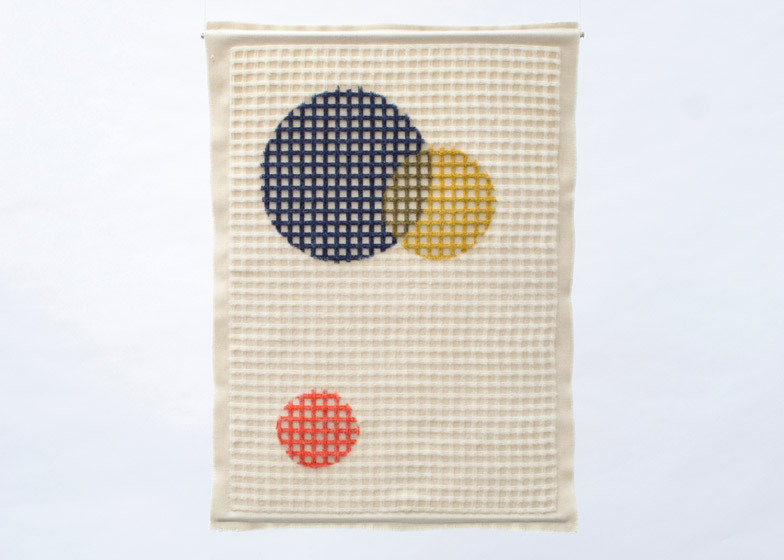 He is now hoping to develop a range of home products including blankets, throws and rugs, produced in small batches using remnant material and plain woven fabrics. "The technology has a broad range of applications, and demonstrating the machine is the only way to find out what these might be," he said. 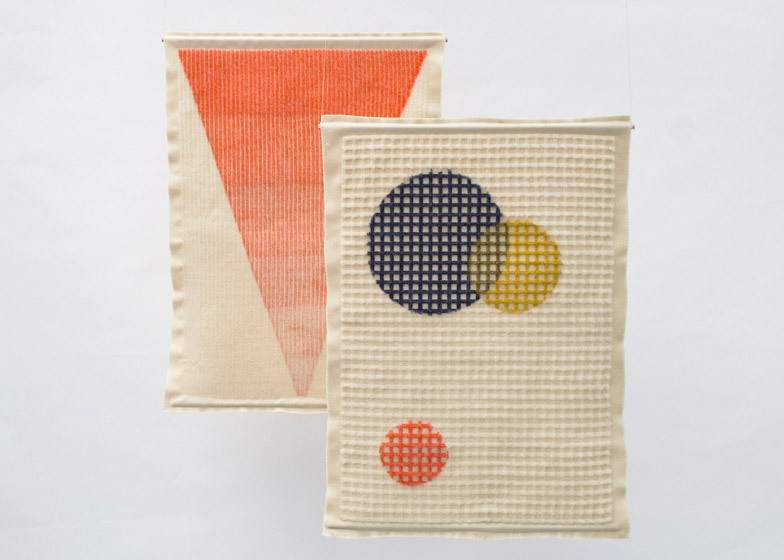 "In the future I am hoping to work on some fashion collaborations as well as exploring how the process can be used in combination with upholstery, and new fibres and textiles that offer new product possibilities." Blencowe completed the project as part of the Design Products programme at the RCA. Felting was also used by graduate designer Hanan Kedmi to make jewellery pieces from computer components mounted in the material back in 2010. Another hacked tool was created recently by Paris design studio Appropriate Audiences, which combined a 3D printer with a tattooist's needle to form an automated tattoo "printer" that can create indelible artworks on skin.